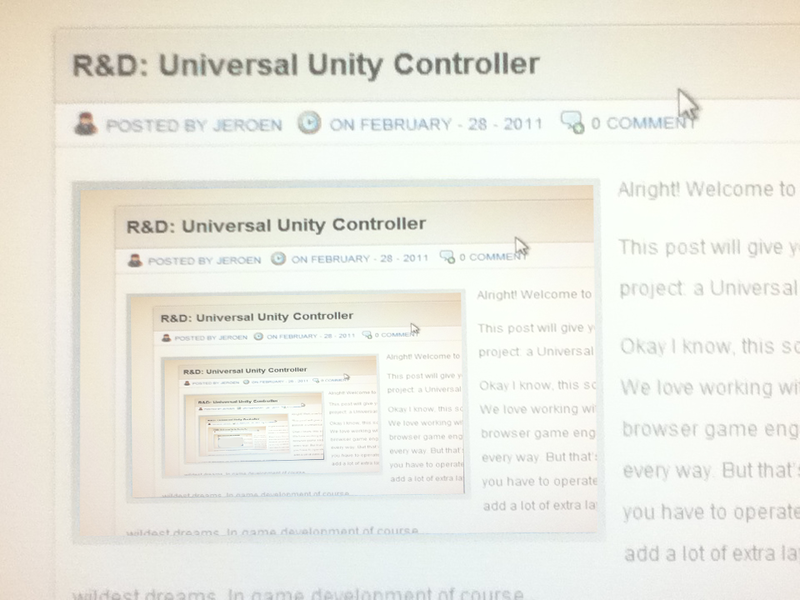 Wow, DevBlogPost in a DevBlogPost in a DevBlogPost,... We need to go deeper! Alright! Welcome to our first GriN Development Blogpost. 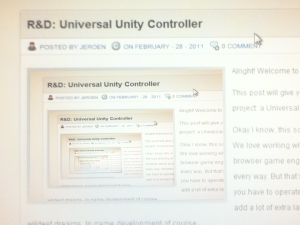 This post will give you a small glimpse into our newest freak project: a Universal Unity Controller. 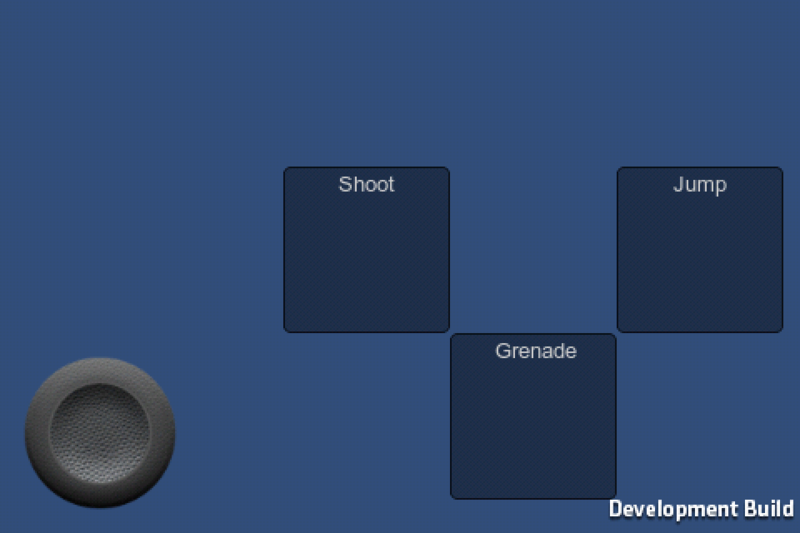 When making a game, you try to come up with what you think is the best control layout possible. Most of the time you are right, if you target at users with the same keyboard. Of course, we’re a Belgian game developer so that means, like everything in our little country, we have to be different and use a keyboard layout only used in approximately 1.0% of the world (Give or take…).A lot of game engines enable you to change these layouts to your needs (f.i. Source) and Unity also allows this, but only when you make exes, not webplayers. So we made our own control system for Unity in which the user can alter the keys to his liking and are saved so he doesn’t need to change them a second time. So okay, that’s not really cool sh*t, but then we thought…Let’s make it cool. 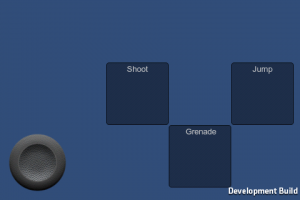 So we made the universal controller, a small app for iOS and Android. This app needs to connect with the game you are currently playing on your computer and enables you to play it with your device. It’s also handy that the app doesn’t need to be installed with knowledge of which games it can be used to play with. The master game just sends the layout of the buttons, joysticks,… and every time there’s an input, it gets interpreted by our own Control system and gets translated into game actions. It can also take over gyroscope actions and fingerswipes for even more accurate controls than a keyboard or a mouse. And this is useful because…? The limit of connections to a game can be decided by the creator, but this makes it possible to play with a lot of friends on one computer without cluttering the keyboard with greasy fingers. It can also be implemented to control a video wall with multiple users, like a giant multiplayer bomberman projected on the side of a building and people in the street controlling their respective players. So you can expect some of our future UNDERdog games to be equipped with the possibility to play it with your smartphone device.